It's that time again when we cross our fingers and hope for some downloadable treats from Nintendo, hoping against hope that we aren't subjected to tricks instead. This week is a mixed bag, with promising, awful and mystery downloads available across all platforms, so let's get to it. Monster Shooter (Gamelion, €6.99 / £6.29) — As the title suggests, this is a game that involves shooting monsters. Originally released for smartphones, Gamelion brings its chaotic top-down shooter to eShop, with the alien blasting story mode including 60 levels on three worlds and 20 perks to unlock. It looks action packed and relatively fun, but we won't know for sure until we get our hands on it in our upcoming review. Samurai G (UFO Interactive, €1.99 / £1.79) — While a fast-paced runner-style samurai game at a budget price may sound like a must have, in our opinion it should be avoided. It received a dreaded 1/10 in our Samurai G review, with this line summing it up — "Samurai G is a terrible, horrible, not good very bad excuse for an endless runner". Gradius (Konami, €4.99 / £4.49) — Europe didn't have to wait long to join in some retro NES shmup action, with Konami's iconic title arriving on the 3DS Virtual Console. As our Gradius review explains, despite starting to show its age this is a perfect history lesson for the early days of the shmup genre, and now you can take it with you on the go. New Style Boutique (Nintendo, Free) — Known as Style Savvy: Trendsetters in North America, Europeans can give this retail title a spin with the first of two planned demos. This is the Fashion Contest demo which, as you'd expect, tasks you with choosing the right outfit and look for a model to wow the crowds. Worth a try for free, at our 8/10 review couldn't help but be impressed with what this title offers. Art of Balance TOUCH! (Shin'en Multimedia, €4.99 / £4.49 for one week) — Reduced from €7 / £6.30, this physics puzzler from Shin'en Multimedia and follow up to the highly regarded WiiWare original, Art of Balance, may be worth serious consideration. With all of the console content and a range of additional levels, stylish visuals and, most importantly, well designed puzzles, we certainly recommend it in our Art of Balance TOUCH! review. Come On! Dragons (CIRCLE Entertainment, 200 Points) — The latest of many DSiWare entries from CIRCLE Entertainment, this appears to be a tower defence game mixed with some shooting action, which arrives at a budget price. We'll be readying our bow and arrows to bring you a review soon. Back to Nature (UFA Lab, 500 Points) — This one has to go down as a surprise entry, emerging from nowhere to bring a rare piece of WiiWare action. That said, what little we do know suggests that this is a game for children: you help Gert the cockerel, Bla the donkey, Rosi the pig and Susi the sheep to find their friend Tom the cat in the forest. However it turns out, we'll tell you all about it in our upcoming review. So there you have it, a mix of tempting downloads, unknowns and one to avoid; there's also a freebie to try, as well. Are any of these going to part you from some of your funds? Let us know in the poll and comments below. Wouldn't know whether monster shooter is any good, but I think I'm too busy playing Layton anyway, so probably nothing for me this week. Oh well, that leaves more money for Fallblox, Nightsky etc! And if anyone hasn't bought Art of Balance: Touch yet, this is a great chance, cos it's a REALLY good game! @PoshSnivy I concur, Art of Balance was a lot of fun to complete. What happened to the other Guild01 games? @akabenjy There'll be one in November and one in December, so I doubt it'll be long before the second one arrives. Wow, what utter blehness. Cave Story+? NightSky? At least there's a discount on Art of Balance, the demo made me want to buy it anyway so I guess now's a good time. I played monster shooter on my friend's ipod and it's good,the control's were abit bad but that's because it was on ipod so it should be good on 3ds so I might be getting it once it comes out in NA if it's cheap. Charging 6.99 euros for monster shooter.....Great joke Gamelion. Almost as funny as you saying it has the best graphics on 3DS. Gamelion keep making me with laugh with your stupidity. 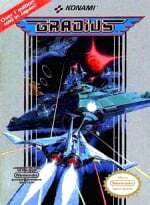 Gradius is a pretty good shooter, surprised they have gone for the NES version instead of the GB version. I played the GB version back in the day and seem to remember really enjoying it. Nothing for me. But I'm glad Gradius has come to the VC so we aren't waiting around for it too long. Even though I won't be getting it. I need a review of Monster Shooter. A bit expensive, isn't it? Art of Balance TOUCH is excellent. I recommend it to anyone who hasn't already downloaded it. Already have versions of Gradius DL'd onto the good ol' Wii. I bought Art of Balance TOUCH! last week, Its an excellent title but I guess I should have waited just a few days, I recommend it to everyone. Think I'll be snatching up Gradius to have a shmup on the go. Nothing this week, though I think Pokédex 3D Pro comes out next so I'll save up for that instead. I'll probably get Gradius at some point. It will be good to have on the go and there are the restore points in the 3DS VC version if I ever need them. Might get Art of Balance. Still no sign of Petit Computer. I wonder if they ever release it here. Will be downloading the demo of Style Savvy 3DS. I honestly can't wait for this game to be released in the UK. I'm downloading Art of Balance the moment it is discounted. Lucky me, I almost downloaded it yesterday. It's great to finally have discounts in nintendo' dls. Do we need to start sending emails asking where our Cave Story is? Europe NEVER GOT the DSiWare release, I'll be furious if they pull this nonsense again with the 3DS eShop release. I'm kinda interested in "Back to Nature" but not much info on that game. Not even a picture. @Late Do you know BASIC homie? If not Petit Computer is pretty worthless as it does not teach you how to program... If you do though it is cool. Just a heads up in case you thought it was more akin to the "art" programs that are on the 3DS that basically walk you through the drawing process. Oh wait Liberation Maiden is already on your side. @Windy Well we already got Liberation Maiden, I'm holding out for Crimson Shroud, The Denpamen and Cave Story, man I'm gonna be busy close to Xmas! Nicalis is taking forever as per usual with their releases, I'm waiting for something to play as I'm all out of retail games to finish or complete again. Just the demo for me. All you Europeans should buy Gradius. I wish these companies would make new games for the classic SHMUP series. I want a new Star Soldier that's not a 'caravan' mode. As for the Denpamen, that's apparently out in December! My god nintendo, why aren't we not being treated the same way? I don't see why we should miss out on titles for so long, after all they should be able to localise pretty quickly because we all speak english down under, Doi! @RupeeClock DSI would be worthless now as no one would really care about it. And chill, Nicallis stated that Nightsky will come this month for you guys and CS a little bit later, it's been rated! Errm, on the App store you Monster Shooter FREE with 40 levels (if I'm not mistaken) over four worlds. For a further £1.99 you get a further 80 levels and 100 missions! Don't know if I'm mistaken, but it very much looks like that's the case. Downloaded the iOS version, therefore. Only thing is, the analogue stick emulation on the iPad screen,as with so many games on ios,is a poor in comparison with a real circle pad. Much poorer. Is Art of Balanca a direct port of the wiiware version? I thought it was. Considering Gradius, really need a shmup on the go. Is it clear when Nano Assault EX is coming? I really like the art of balance, but i don't see it discounted yet? I see 3d gold for 1,99. Did i check too soon? @Webby Yes, the discount will start on thursday. I think I'll pass on the demo! I am a man after all!! 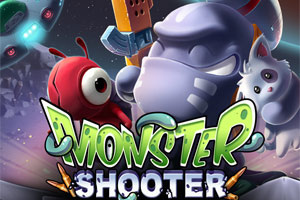 I hope Monster Shooter arrives in our eShop, even if it is more of one of those shovelware-esque type games, to me it looks pretty fun. I normally buy the good eshop titles, but if we get it on friday I may just download that and maybe Hana Samurai, i've been meaning to play that.